The ASG32 is a high performance state of the art glider, that also comes equipped with an engine. the possibility that the power plant will fail to deliver the hoped-for propulsion. engines, and therefore cannot be expected to be quite as reliable. I cannot overemphasize the importance of the above words. But for casting shame and embarrassment on others, I would mention names, places, and dates that are examples of reliable engines failing to start, several of which destroyed the motor glider. Don’t be one of the statistics. 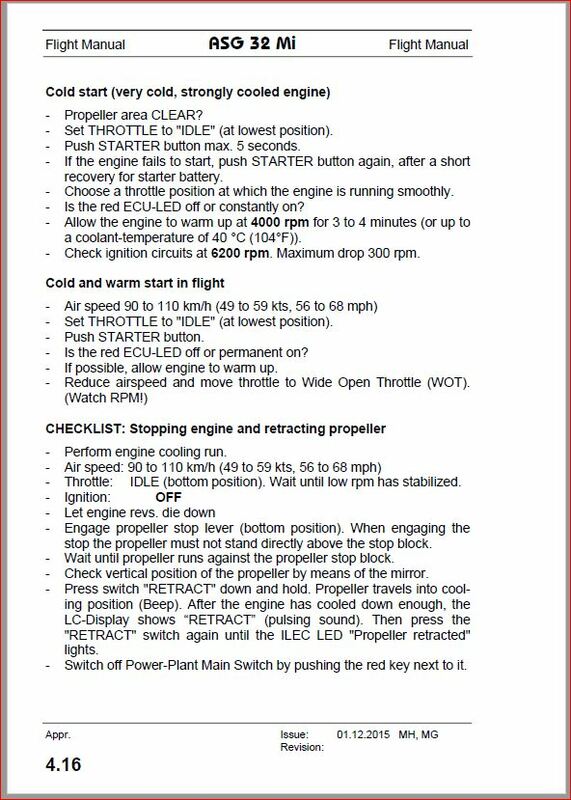 Before you perform the Inflight Engine Start Checklist you must identify the place you are going to land, and of course, you need to be within adjusted/ adequate glide distance of that field (assuming the propeller is extended but not operating). I have had the engine fail to start inflight on no less than three occasions, and on each occasion, I landed without incident – and on two of those instances the engine was extended. Granted that was over a period of 12 years, while accumulating over 1,000 hours of flying time on those two motor gliders, but it could happen tomorrow just as well. Let’s not be afraid of the engine. It is an asset. It’s extremely valuable. The engine in this ship is the state of the art. Use it when ever you need it – just adhere to the cautions and procedures. From paragraph 2.5 (color added for affect)…. This is a fixed pitch prop. 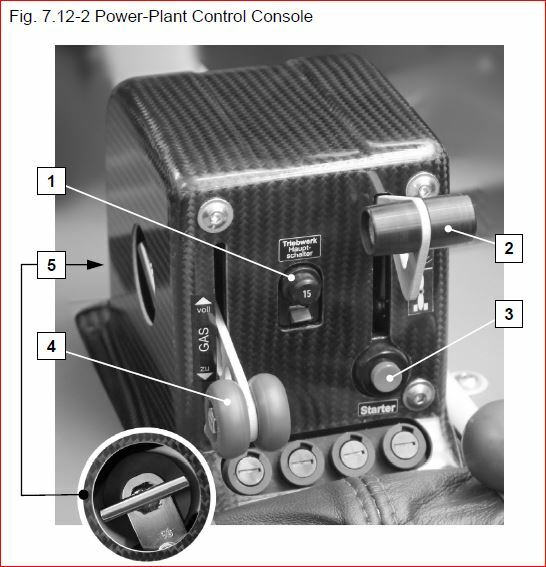 If throttle is held constant and you lower the nose to allow the airspeed to increase, then the RPMs will increase. 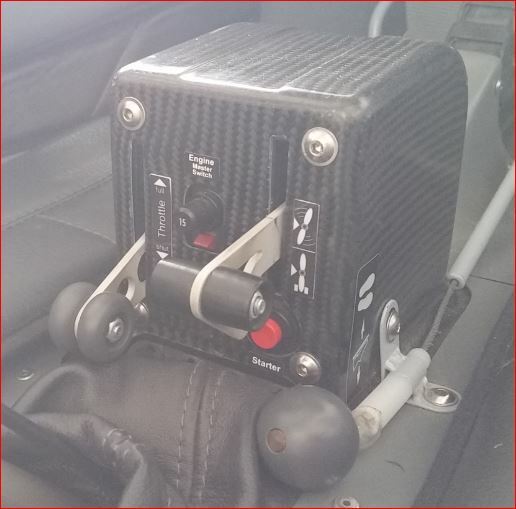 You discover that if you want to fly a constant airspeed, then you need to control the RPM so they remain below your target RPM while you adjust the pitch and get the airspeed stabilized, and THEN, you adjust the throttle to achieve your desired RPMs. Definitely respect all RPM limits. Not doing so will destroy the engine. 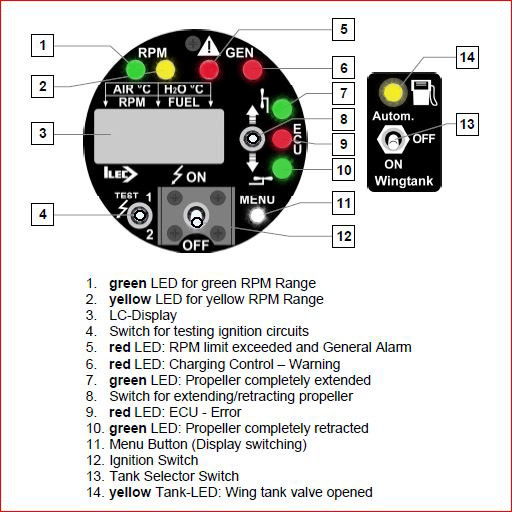 Here is the graphic of the ECU in the flight manual (color added for clarity). The result of this is that when it was time to start the engine in flight, I had completed the first five items in my start checklist earlier, and then I simply established the correct speed, reached down and made sure both handles (Throttle and Prop Brake) were all the way down as I closed that “switch”. The prop started to extend immediately. I see the green Prop retract light immediately go out and the center prop red light illuminate. As soon as I see the Green prop extend light illuminate, I unlock the prop and then hit the starter button. 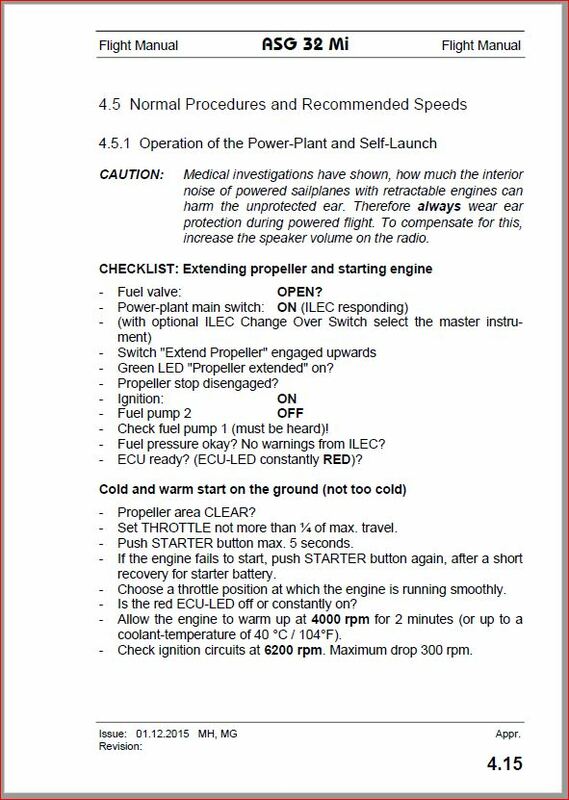 You can see the simplicity of the start, IF you perform parts of the checklist well in advance. Not complicated – you just need to get familiar with procedures and the equipment. 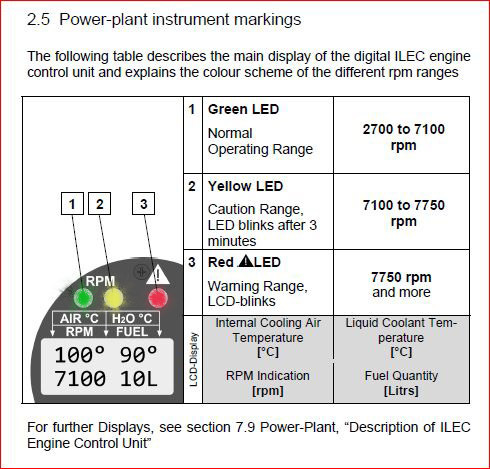 Of course there is a lot more to the full spectrum of engine ops, so read the book and know the temp ranges and limits for Air and Water. Understand where the air temp is measured and the downside of flying slowly when the air temp is high. Know the cooling procedures. 100 degree days in the Sacramento Valley will give you a 100 degree temp at 4,000 feet and may lead to engine overheat. Learn the techniques needed to avoid hitting any temp limits.